The time has finally come and now the iPad 3- officially called the “new iPad”- is available but good luck finding one in your local stores if you didn’t preorder it. As usual, the newest model of the iPad is a hot ticket item and authorized stores have limited supplies that are selling out quickly. If you’re still making the decision of whether or not to purchase one for yourself, here are some specs, features and a generalized review of the new iPad to help you form your own decision. Although the new iPad comes with a whole slew of new features and an outstanding operating system to boot, it is not as complex as you may think. It has actually been designed to be the easiest of them all to use and operate. Let’s take a look at what it’s going to cost you and what you will get if you decide to spring for the new iPad (iPad 3). One of the first questions on the minds of many is what will it cost. Especially in this economy today, people want to know how much they’re going to have to pay for the next and latest gadget or gizmo. Many diehard Apple fans have already pre-ordered the new iPad but either way, the pricing is the same. Another good thing about the iPad is that there are different prices available to choose from so you can get the best one for your budget. Just be sure you look at and understand what you’re getting for the price so there are no surprises later if you discover your iPad doesn’t do what you thought it did. Officially, the new iPad is called “iPad” and referred to as the “3rd generation” model, but many people are still calling it the iPad 3. Who knows really why Apple decided to change the name for this version but it doesn’t really matter what you call it; it’s awesome. 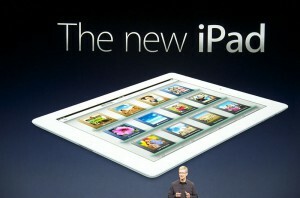 After the official release statements, we learned that much of what was anticipated in the new iPad, Apple delivered on. They don’t like to disappoint customers and they are a company built on making things look good as well as work well. So let’s take a look at what you get when you order your new iPad and also at the features and specs that you will find with this device. You want to know just what you’re getting before you get ready to shell out all that cash, right? 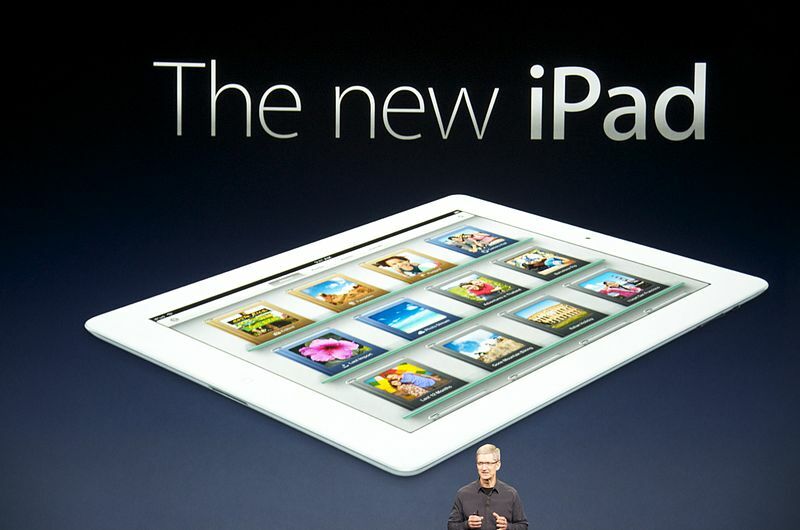 Design and Look: It looks just like the iPad 2. We mean, it’s identical except for an extra 0.6mm thickness (up to 9.4mm) and around 50g of weight (650g for Wi-Fi only, 662g for the 4G model). Basically, it’s slightly thicker. Not so much so that it’s going to make a big difference and your own iPad 2 cases might fit but don’t count on it 100%. Retina Display and Resolution: The iPad 2 was beautiful but if you looked really closely, you could still see jagged edges. The new iPad is stunningly beautiful with the Retina display and a higher resolution of 2,048 x 1,536 that will give you eye-popping perfection every time. What is the difference between iPad with Wi-Fi and iPad with Wi-Fi + 4G? “iPad with Wi-Fi is ideal if you have a wireless high-speed Internet router in your home, or if you’ll be using your iPad near a wireless hotspot — in a coffee shop or school library, for example. Can I use iPad when traveling internationally? Many Wi-Fi networks internationally can be used free of charge, and some require a fee. To join a Wi-Fi network at a hotspot where charges apply, in most cases you can open Safari to see a web page that allows you to sign up for service. iPad with Wi-Fi + 4G is designed with next-generation wireless technology that offers the most comprehensive support for fast data networks all over the world — up to 4G LTE. That means you can get online almost anywhere in the world — whether you’re on AT&T or Verizon. You can even pop in a local SIM card to get a connection when you’re traveling. For iPad with Wi-Fi + 3G, always contact your current carrier before you travel to another country. Does the iPad include a warranty? iPad comes with 90 days of complimentary telephone technical support. In addition, your iPad, its rechargeable battery, and all included accessories are covered against defects for a full year from the purchase date by a limited hardware warranty. Can I extend the iPad warranty? Can I return my iPad if I change my mind? If you are not fully satisfied with your iPad purchase, you can return your undamaged iPad within 14 days of purchase for a full refund. Learn more about Apple Retail Store purchase policies. So will you be purchasing the new iPad or are you going to opt for an iPad 2 now that the price has come down with the release of the new iPad? Either way you go, it’s a winning choice. What makes the iPad different from the first generation tablets? In addition to size and weight, companies like Apple and Sony are introducing advanced communication features such as webcams, bluetooth and 802.11 N WiFi. 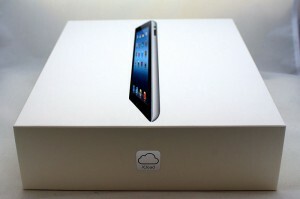 The size and weight of present and projected iPads range anywhere from 5×7, 12 ounces to 8.5×11 and two pounds. Steve Jobs invoked the Apple iPad, then unveiled the Apple iPhone 4 to the audience at WWDC (World Wide Developers' Conference) held in San Francisco on Monday, June 7th, as most of the Mac world anticipated. After opening his address by discussing a few nice updates to Apple's new iPad, he introduced Apple's latest generation of its smartphone, and as its image appeared on the immense screen, Jobs said, "I don't know if you've ever seen this..."
Original Article has 1295 words.